Getting a professional, experienced and reputable roofing contractor Bloomington MN is important whenever you need quality roofing services. For those who are not familiar with the roofing industry, getting the right contractor can prove a difficult task with the ever-growing number of roofers, many offering substandard roofing services. Here are questions that will help you select the best local roofer in Bloomington. How Long Has Your Roofing Company Been in Business? Knowing how long the roofing contractor has been in business is important as it can help you know whether the roofing company is established or not. It is advisable to hire a roofing contractor in Bloomington MN whose roofing company has been in business for a number of years as this shows they are established. An established Bloomington roofing company is likely to be around in future hence available to deal with any future roofing issues you may have. Additionally, any roofing contractor you hire should be one who has a permanent address for location purposes. What Kind of Roofing Services Do Your Offer? Get to know the kind and nature of roofing services offered by any roofing contractor in Bloomington MN you might hire. A good roofer should be one who offers a number of roofing services form basic repair services to sophisticated services like roof installation and replacement. Furthermore, hiring a roofer who offers emergency roofing services and value additional services is a huge advantage. How Qualified and Experienced Are You? This is an important question as it will enable you know whether the roofing contractor is certified. A certified roofer is one who is licensed after having passed both local and federal requirements. Working with a licensed roofing contractor is advantageous as they will work in a professional manner since they risk losing their licenses in the event they violate their license terms. Additionally, an experienced Bloomington roofing contractor will be able to give your practical solutions as they have handled lots of roofing tasks before. Any roofing contractor Bloomington MN you select should be one who has their own team of roofers and not use subcontractors. Most sub-contractors are paid on a job to job basis and are more likely to undertake substandard roofing services. Kindly seek to know if your potential roofing contractor is insured. A fully insured roofing contractor can have their insurance company compensate you in the event of damage to your property that occurred while undertaking their roofing tasks. Who Are Some of Your Former Clients? Kindly ask potential roofing contractors to give you a list of their previous customers. 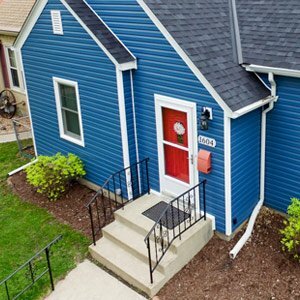 Any reputable Bloomington roofer should keep a list of their customers who are willing to be contacted. Contacting these former clients will help you know whether a particular roofer is dependable, trustworthy and delivers quality roofing services. Even though cost should not be the determinant factor when selecting a roofing contractor, it however should be considered. A good roofing contractor Bloomington MN should give you estimates that are cost effective. Never select cheap roofers as they might do substandard work because of low pay. 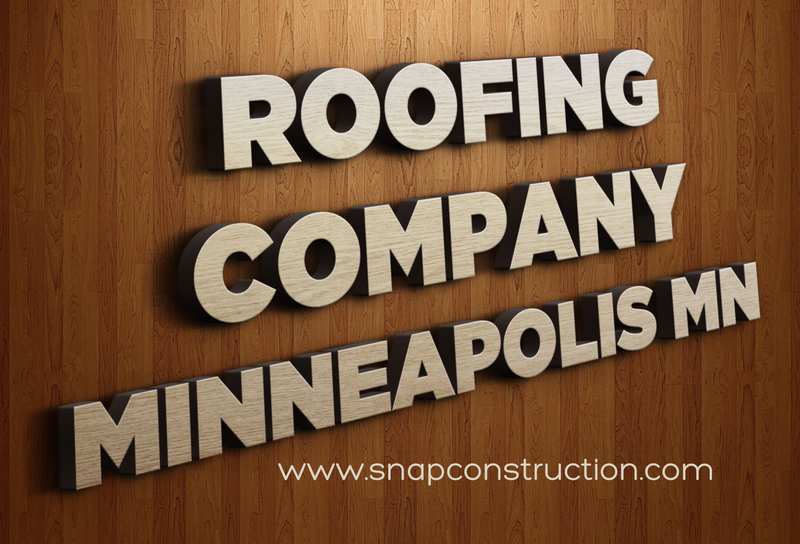 Browse Here for getting more information related to Roofing Contractor Minneapolis . 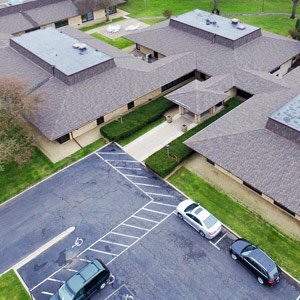 Why We’re Consistently Ranked Among The Roofing Contractors Bloomington MN Locals Trust written by: dawnitis When searching for roofing contractors Bloomington MN residents are usually most concerned with saving money. Given that the roof is by far, one of the most important structures on your home, however, there are many other factors to consider. You want superior workmanship, solid guarantees and providers who are committed to leaving the job site clean. We offer some of the most competitive rates in the roofing industry. We’re also aligned with the top Minnesota roofing supply companies and can offer a broad range of premium and cutting-edge roofing materials. With our help, you can get a durable, long-lasting roof that not only enhances the overall value of your property investment, but that also improves the curbside appeal of your home. We start our work process by providing our customers with clear estimates for the labor and materials that their projects entail. This is just one of the many reasons why we’re consistently ranked among the roofing contractors Bloomington MN residents trust. If you need a major roof repair, we can also tell you whether it’s in your best interests to continue patching your roof or if it’s time to invest in a new roof altogether. When the roofing substrate is damaged, numerous tiles are missing and flashing problems abound, these are all signs that a roof is nearing the need of its lifetime. In instances such as these, homeowners can save more money by opting to replace their roofs rather than paying for countless, costly repairs. One of our over-arching goals is to help our customers make informed decisions about their properties. This is why we always carefully explain repair and replacement options as well of the benefits and drawbacks of each of the materials that can be used. We want to help you choose products that are in line with your own goals for both your property and the value of this important asset. Best of all, in addition to offering roof replacement and repair services, we also provide gutter cleaning and gutter cover solutions that will help minimize this essential and ongoing property maintenance. We pride ourselves in offering some of the most attractive and innovative roofing solutions on the Bloomington roofing market. We can install oversize gutters and downspouts for multi-level properties with extraordinary drainage needs. We also offer all-copper rooftop drainage systems for those who want to beautify their Minnesota homes with high-end gutters and downspouts that will provide remarkable increases in sweat equity. We will help you choose a roofing style that allows for continuous appreciation and that functions just as good as it looks. More importantly, no matter what the size of the jobs we take on may be, we always leave our work sites clean. Get in touch with us today to learn more about our whole roof replacement services, gutter cleaning and repair, and emergency rooftop repairs. We can offer you a free, no-obligation quote for the work you need and we’ll provide timely attention for all of your urgent needs. Taking good care of your roof is essential for protecting your home, preventing water damages and preserving the overall value of your investment. We’re committed to helping our clients get feasible, affordable solutions that are just as durable as they are visually appealing. Visit Here for getting more information related to Roofing Contractor Bloomington MN . Due to the rising number of local roofing companies, it is now very difficult to choose the right best contractors to install, repair or replace your roof. Homeowners face the greatest challenge when deciding on the most qualified and reliable Minneapolis, MN roofing contractors. Once the damage has occurred in your home e.g. after a massive storm, these local roofing companies need to come in and perform the necessary repairs to get the situation back to normal as quick as possible. However, that should mean a homeowner should desperately hire the first Minneapolis, MN roofing company who knock on his or her door. They must carry out proper research to ensure that they choose a professional, trustworthy and experienced local roofing contractors. The company should protect both their wallet and their home. Today, we will share with some of the tips to help homeowners choose the best roofing company in Minneapolis, MN. Some local roofing companies do not provide manufacturer warranties that cover contractor’s workmanship. If the contractors do shoddy work, it may take months or even years for the damage to show up –and the insurance will not pay for it. If you can’t reach the company to fix it (for instance, if they are out of business), the only available option for you is to pay for the terrible mistakes. For that reason, an extensive warranty is crucial in any roofing work since it covers such damages. It is very unlikely that a homeowner will run into potential issues or scams if he or she chooses a company from the local area i.e. 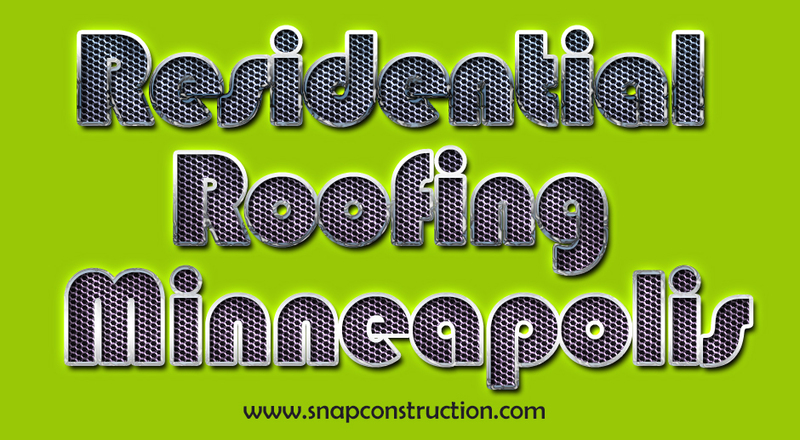 Minneapolis, MN roofing contractors. They’re more conversant with the local rules and codes of regulations. They also have a better relationship with the local suppliers and the crews. Avoid companies that don’t offer you different shingle options since they’re not looking out for your best interest. Keep in mind that the color and the style of the shingles will determine the resale value of your home in future. If your insurance company pays for the installation of new roof, take advantage of that opportunity to upgrade to a more stylish shingle design which suits your taste. Therefore, you should contact roofing companies that offer a broad range of color and design choices for your homes. Roofing companies must insure all their contractors, subcontractors and other employees. So, they should provide a valid copy of their insurance certificate. If a roofing employee is injured at home and there isn’t proper insurance, it could result in litigation between a company and a homeowner. While all Minneapolis, MN roofing companies must obtain the necessary licensing from authorities, a few unlicensed contractors can still attempt to offer local roofing services. Ensure your company provides you with a valid copy of their license. Confirm the status of the license online. After a damaging storm, some new companies will emerge claiming to provide local roofing services. It is highly recommended to check about them on the BBB website and confirm they have a good score. Avoid companies who don’t exist on BBB.org. Roofing companies must maintain satisfactory ratings with the BBB for them to retain their certification. Stay away from any company that claims to handle the installation, repair or replacement of roof without asking the homeowner to pay their insurance deductible since they’re committing insurance fraud. In fact, it’s endangering the homeowner. It’s your responsibility of the insured to pay the insurance deductible. The company’s quotation should reflect that without inflating the estimate to cover whole or part of deductible. You need to consider your choice of a roofing company very carefully. You must do adequate research them before hiring them. You will significantly reduce potential problems if you hire a good roofing company in terms of workmanship, reliability, and price. Look Here for getting more information related to Roofing Contractor Minneapolis MN . Most people dream of owning a home. However, it is not always easy as it sounds. One has to make several decisions and one of the ultimate decisions is buying and installing a new roof. Roof construction is a critical task not only in maintaining the integrity but also in enhancing energy efficiency in a home. Those living in hurricane prone areas understand the importance of having a strong roof for their home. A roof is the most vulnerable part of a home and can get damaged by storms, water leaks, and fires. A professionally installed roof can survive the harsh winters and dry summers of Bloomington area. 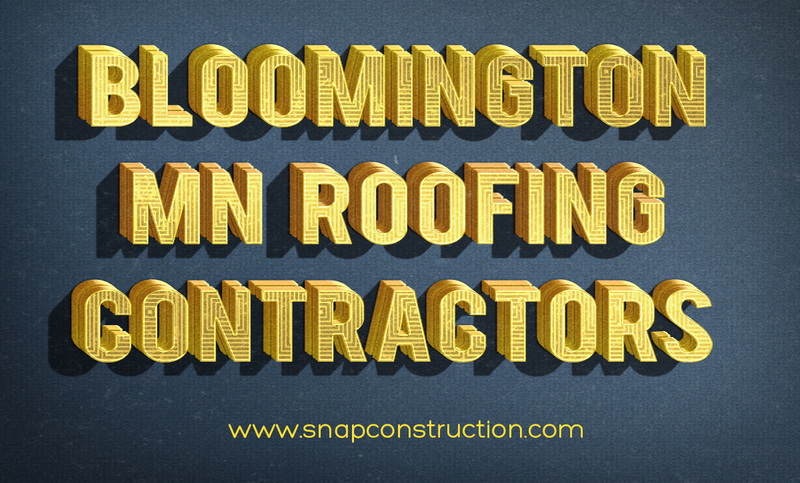 Bloomington MN roofing contractors install, replace and repair residential, commercial and industrial roofs. We thoroughly inspect the entire roof to determine the extent of damage in a roof before providing custom roofing services. For all our installations, repairs, and replacements, we ensure that we meet the industry set roofing standards. Residents and homeowners should never ignore small leaks as they can graduate to gigantic costly repairs or even call for entire roof replacement. Debris can settle on a roof thus affecting draining. We can schedule for roof maintenance services such as clearing out downspouts and roof gutters. Damaged surfaces, curled, missing, blistering or cracked gutters and shingles and water stains on ceilings are other tell-tale signs of an aging roof and can cause a disgrace to a home’s occupants. Thus, at Bloomington MN, we give great attention to such roofing issues. Emphasis on quality craftsmanship and commitment to customer service is our key considerations. We are capable of completing all roofing projects within the stipulated timeframe. We deliver unsurpassed quality construction by using the latest technological advancements. If a roof is in a state of disrepair, one may need to do a full replacement. Roof replacement requires experienced installers as it means more than removing worn out shingles and replacing them with new ones. Plywood, cement, and flashing also need to be replaced. Other critical tasks that should not be overlooked during roof replacement include resealing skylights, repointing of chimneys and repairing cracked gutters. Our roofing crew understands the best type of roofing that survives the horrid Bloomington climate. Some roofing materials are better than others when it comes to repair or replacement. Great roofs are customizable and are eco-friendly. They are also durable and should enhance the overall value of a home. Therefore, our Bloomington roof contractors not only install, replace and repair a roof but also guide homeowners in their decision-making process right from selection to installation. They will also assist homeowners seeking to remodel their homes by availing the best service possible. A roof plays a critical role in a home, and maintaining it should be a priority for all owners. No roof is everlasting. At one time, a homeowner will need a repair, maintenance or replacement. It is, therefore, vital to work with an experienced roofing contractor to avoid pitfalls that occur during the installation of a new roof. It is also essential to choose experienced Bloomington MN roofing contractors for quality service. Contact us today for a custom roofing repair, installation, maintenance or replacement. Browse Here for getting more information related to Residential Roofing Minneapolis . Rubber Roofing Installation and Replacement has evolved over the years and is currently a form of synthetic rubber known as Ethylene propylene diene monomer, EPDM. EPDM is a hybrid rubber that contains age-resistant properties and is extremely durable in severe weather conditions. It has a high resistance to water and steam and stands up better to UV rays, oxygen, and other chemicals that wear out traditional rubber. It’s resilient and water-proof qualities have resulted in EPDM’s use in washing machines, garden hoses, and safety devices in automobiles. These characteristics make EPDM an increasingly popular choice for consumer’s looking for the most durable roofing options on the market. 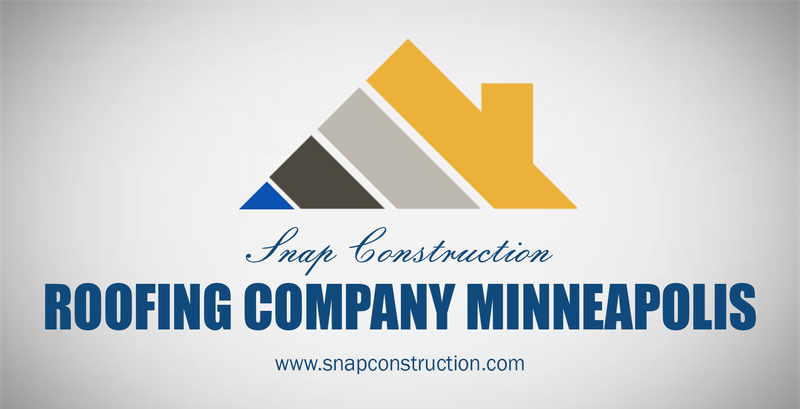 Snap Construction is your area’s rubber roofing specialist. We handle as small as rubber roofs over four seasons porches and as large as complex commercial jobs. Our staff is highly knowledgeable in rubber roof installation and backs this up with a ten year craftsmanship warranty. Brands Carried: Carlisle, Certiainteed, Conglas, DecTec, Firestone, GAF, Henry, Hydro Stop, Johns Mansville, McElroy Metal, Mid-State Asphalt, Malarkey, Mule-Hide Products, Polyglass, Tamko, Trumbull, U.S. Ply, Versico. We have others available to us as well. If you have a certain manufacture you are looking for more than likely our suppliers have their product.